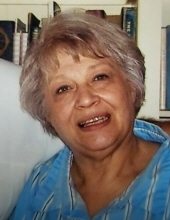 Mrs. Linda Lou Ginger Freitag of Green County, Kentucky, daughter of the late Darrell Wayne Ginger and Vivian Eileen Beck Ginger, was born on Thursday, July 30, 1942 in Richmond, Michigan and departed this life on Monday, November 19, 2018 at her home. She was 76 years, 3 months, and 20 days of age. She had made a profession of faith in Christ, was a beautician and caretaker. She united in marriage to Paul Robert Freitag on July 31, 1975 who preceded her in death on April 29, 2005. Survivors include two daughters and a son-in-law: Kimberly Ann Greenberg and her fiancé, Richard Williams both of England, and Vivian Marie and Joseph Nick Blasko of Springfield, Illinois; a grandchild Sophia Blasko of Illinois; a brother and two sisters: Dwayne Ginger of Greensburg, Evelyn Hasty of Alabama, and Suzy Martin of Illinois; and a host of other relatives and friends. Cremation was chosen. No formal visitation or services at this time. Cowherd and Parrott Funeral Home in charge of the arrangements. To plant a tree in memory of Linda Lou Freitag, please visit our Tribute Store. "Email Address" would like to share the life celebration of Linda Lou Freitag. Click on the "link" to go to share a favorite memory or leave a condolence message for the family.